Two Kildare women won a combined total of €87,000 on the first Winning Streak of 2019. Rosemary O’Brien, from Coill Dubh scooped €32,000 while Bernadette Carey from Newbridge won a whopping €55,000 on Saturday, January 5 last. 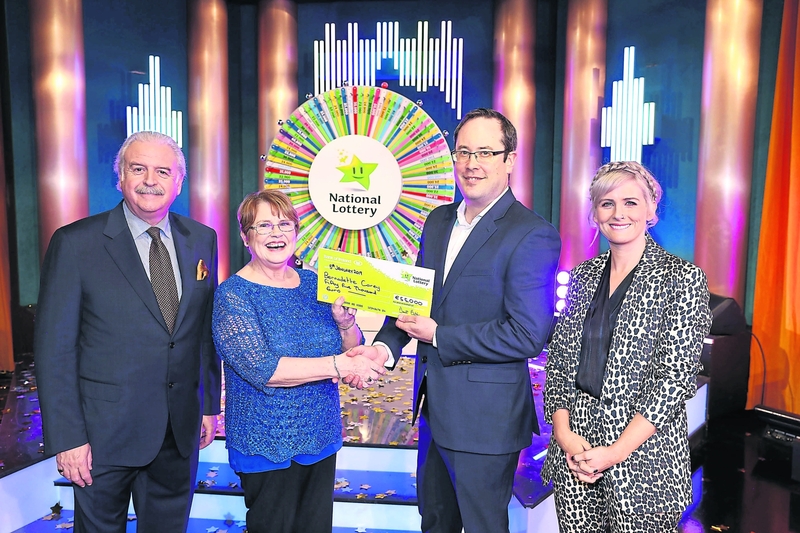 It was lucky Rosemary’s second time on the gameshow, first appearing in April 2000 with Mike Murphy when she went home with £9,500 (€12,062). Back then, Rosemary had been married to Packey for just two years. Now the couple are together 20 years and have three sons — Jamie (17), Josh (14) and Cian (9) — who all cheered her on from the RTE audience. Rosemary started work two months ago for industrial security company (which makes security gates and doors for many businesses) Elite Tech Precision in Naas. This time Rosemary isn’t sure what she will do with her winnings, but she is planning a nice family holiday. Meanwhile, Bernadette Carey has been married to PJ for almost 50 years and says there is no better way to kick off 2019, the year of their golden wedding anniversary, than to win a few quid on Winning Streak. The couple have four adult children – three boys Richard, Gerard and David and one daughter Michelle. Bernadette has seven grandchildren, four of whom supported her from the Winning Streak audience. Bernadette’s son David watched on the RTE player from Berlin in Germany where he is based with his wife Tina and their daughter Lucy.